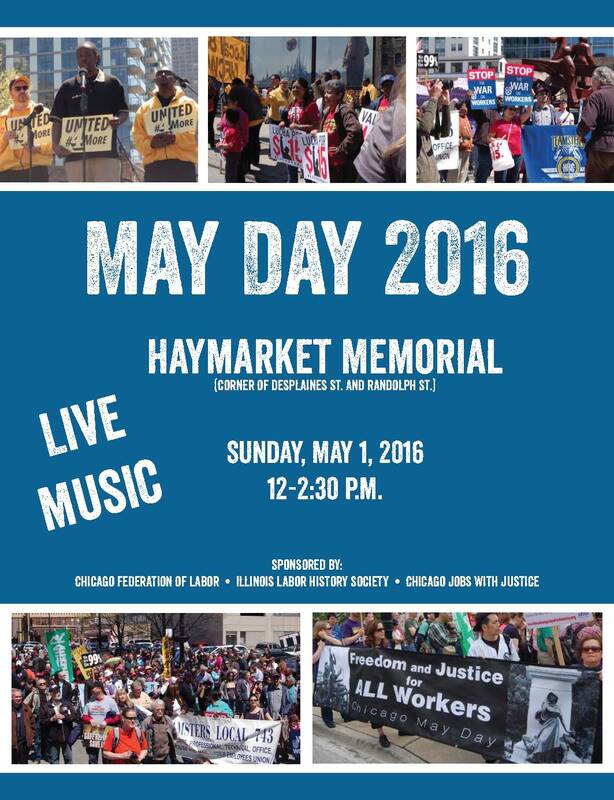 Join the Chicago Federation of Labor, the Illinois Labor History Society and Chicago Jobs with Justice for their annual May Day celebration, Sunday, May 1, at the Haymarket Memorial. The event will feature speakers, live music and international delegates from the World Federation of Trade Unions. Chicago is the home of the American Labor Movement, and Haymarket is the site where it all began. Join us as we continue the fight for workers’ rights.